Purchase Whisperings on Amazon for $9.98. Reviews are always appreciated. Publishing a poetry book by the time I was 30 has always been a goal of mine and I’m excited that this dream has come to life (2 months before my 30th birthday). For me, poetry is a way to express my thoughts and emotions without leaving myself completely vulnerable to prying ears. Through vivid imagery and angelic rhythm, I can connect with others to communicate universal human emotions. 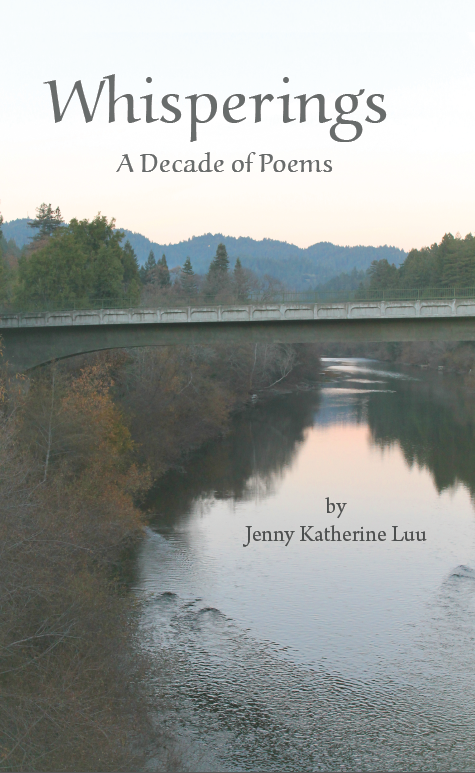 The poems that you will read in this collection were written in my 20’s, which encompasses my college years and the years after graduation (as I start to make my mark on the world). Through these poems, you will see a young lady discover herself, discover what it means to be a woman, and start to develop an opinion on the world. It is with faith and it is with trust, that I share pieces of my heart with you, in the hopes that I can inspire you to see beauty in the world and to have the courage to simply be yourself. You can find a sampling of my poems under the Poetry Tab of this blog. If you are interested in what you read, consider purchasing a copy of Whisperings. Subscribe to the blog for updates on e-book publications, local poetry readings and book giveaways. Now that the book has been published, I would like to engage my readers with new material, poetic photography, and maybe some collaborative poetry.